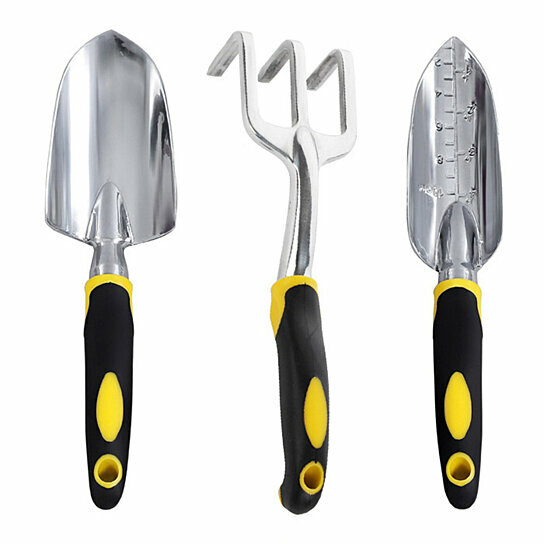 3 Pcs Garden Tools tools provide excellent comfort and durability to make digging, cultivating and transplanting in the garden. Ergonomically designed handle reduces hand and wrist fatigue while weeding. Superior aluminum heads resist rust and won't snap off while digging. Handle hang holes for easy to storage. Easy to clean, hand washing recommended. Please clean and dry the garden tools set after use.